In the last few weeks over Christmas it has been a busy time. I thought with two weeks off I would have so much time to go out, relax and take photos. Unfortunately it hasn’t happened that way. Other things have prevented me from doing this, one of which I cant complain and was very happy for the distraction. The other was the heat. It has been so hot here over Christmas that lethargy has set in and anything other than air conditioning holds no interest. Finally it has started slowly to cool down a degree or two and in the next few weeks I hope to make the most of the season and get out there. This weeks photo was one that I took a couple of months ago. I had a lovely frangipani tree in a large pot on my deck for about a year. Finally it flowered and surprised me with its pink blooms. On a dull day I took some flowers inside and played around with them in the natural light filtering through the window. Of course for a study I preferred this flower in black and white. It strips away the distraction that beauty holds and pares it down to light and shade, texture and curves. What do you think? Monochrome Madness is run by the tireless Leanne Cole and Laura Macky. 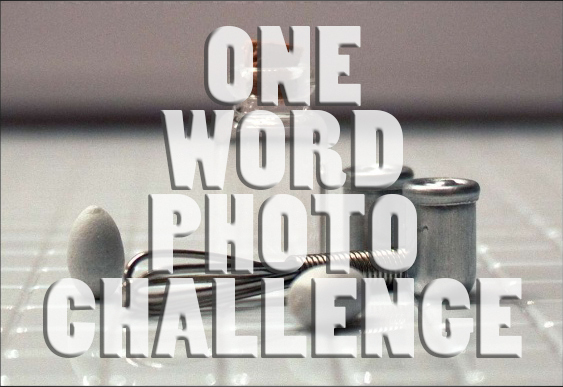 You will find more entries into this weeks challenge on Leanne’s website at leannecolephotography.com. 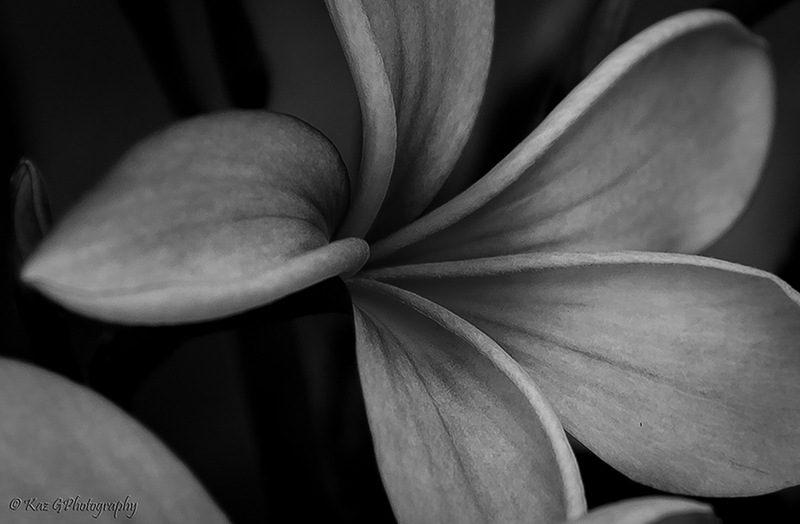 Marvelous monochrome of a frangipani flower, one of my favorites! The curves really show well in this way (maybe they do in the colour version too), I get a real sense of the twist and swirl as they come out from the centre. Stunning! I love the lines and how my eye sweeps around the flower. Not sure what the color looks like, but I like what I see here that’s for sure! There ya go! Good idea. 🙂 And you’re welcome! So lovely Kaz and I love your description of the the shapes, textures etc. beautiful. Exquisite image, Kaz! The different tonalities and the beautiful lines – wow! Great choice for monochrome! What a fantastic image Kaz!!! The light and shadow are wonderful!! The frangipani looks unreal!